Started in 2010, AngelList has come a long way. It started as a fundraising tool, but has become a very popular recruiting platform for startup jobs recently. But many of these users have also wondered at some point – what are some good alternatives to AngelList? With 25,000+ startups recruiting and 1M+ candidates globally, AngelList offers a decent userbase. But as it often happens in recruiting, size is not everything. Here are some reasons why you might want to find alternatives to AngelList. Why look for alternatives to AngelList? AngelList makes it super easy for anyone to browse and “show interest” in any startup. While that (apparently) makes things easy for job seekers, it also makes things tough for recruiters. The problem is this one click way to “show interest” leads to too many irrelevant applications that need to be filtered out manually by companies. At CutShort, we have seen freshers applying for our CTO job! The higher amount of noise explained above leads to delay in recruiter action, which in turn, makes the candidates apply for more jobs, thus increasing the noise on the platform even further. Classic vicious circle. Further, many startups complain that the candidates on AngelList are “passive job seekers” who are there to discover new startups, not necessarily to find new jobs. If you’re able to get introductions, but nothing moves forward, this is likely the reason behind it. Like most platforms, AngelList is completely free for job seekers. For startups looking to recruit, AngelList offers a free plan. But it recently limited the feature set in the free plan and added pricing plans that start from $199/month. 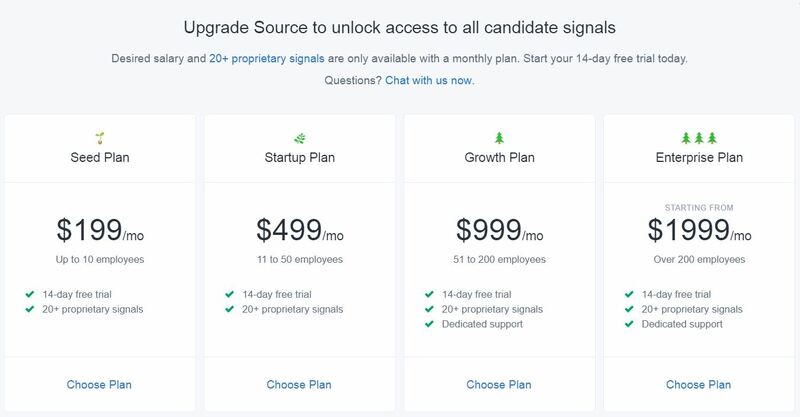 Recruiters looking to filter candidates based on educational background etc, need to use “Source” product and need to upgrade to a paid plan. The pricing looks affordable in the US, but looks high for startups elsewhere, especially in emerging economies like India. We covered AngelList’s pricing here. So what are the top alternatives to AngelList for recruiting? Used by 3000+ companies, from smaller startups to big companies such as Google & Amazon, CutShort offers higher relevance and faster responses than AngelList. It does so by intelligently using matchmaking algorithms, gamification techniques and Artificial Intelligence (it offers a professional assistant that suggests next actions and helps in scheduling meetings etc.). CutShort offers a 100% free plan and paid plans starting at around $50/month. A platform that looks very similar to AngelList is f6s.com. Startups can raise funds, apply for accelerator programs or hire on this platform. Unfortunately, despite a decent user base, the engagement on f6s is much lower thus making it much less useful. A niche platform to hire techies, HasJob is very popular in Bangalore tech community. It’s 100% free and you can unlimited number of jobs. It’s a vanilla platform though — you can only receive responses on your jobs. You can’t see or contact the talent pool matching your jobs. With more than 400M users worldwide, no one has more diverse professional database than LinkedIn. While you can find tons of profiles with different skills, the challenge is in tapping the ones who are open to new job opportunities AND are eager to join a startup. Many are not. 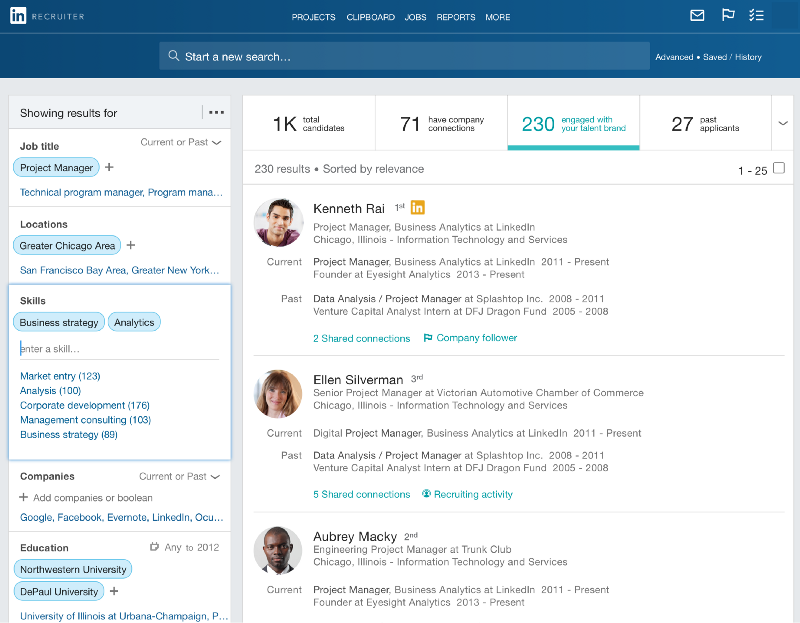 LinkedIn also offers a job board where you can post your jobs. For some of your regular job positions in niche areas such as Digital marketing, it may work. However, a significant number of applications are from the mainstream audience who is not cut out to work at a startup. AngelList is a good recruiting resource every startup should try out. It’s easy to use, has quite rich data and offers a free plan. But if it doesn’t suit you and you are hiring in India, do check out the other alternatives listed above. Used any of these alternatives? Let us know your experience in comments!